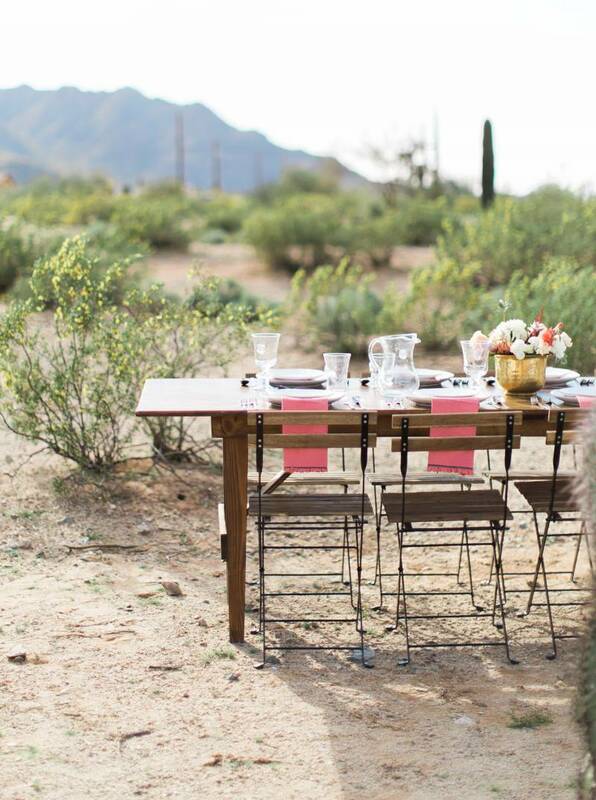 Inspired by the softness of the innately beautiful and simple desert backdrop, California Wedding Photographer KELSEA HOLDER worked with design and rental company TREMAINE RANCH to create this gorgeous vision. "The romance that flourishes from this magical oasis, so rich and warm with rose tones, allows pastels to wrap themselves in light. We love the juxtaposition of the saguaro cactus adorned with a soft and flowing floral garland by THE PETAL THEORY - two vastly different plans, in scale and colour, working together to create something ornamental and unique. The magical oasis created the perfect setting for photos of an unforgettable and elegant love. Simplicity was revisited throughout this photoshoot. From the simple ceremony, lined with minimally styled wooden chairs to the bride's natural beauty look, letting the surroundings be the storytellers. 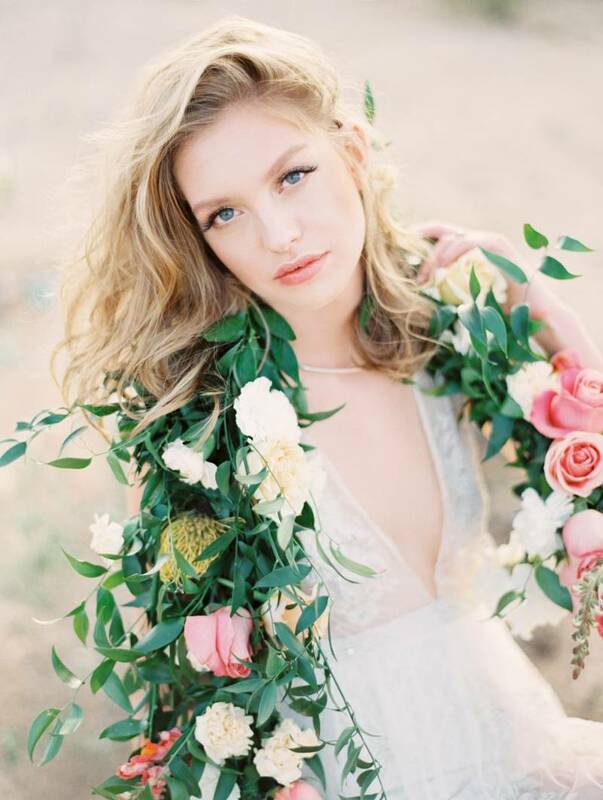 And consistently raw, organic desert beauty was given an eclectic/boho feel contrasting with the raw cowhide, natural wood, and overgrown floral arrangements for a truly unique vision for a Bride and Groom!" 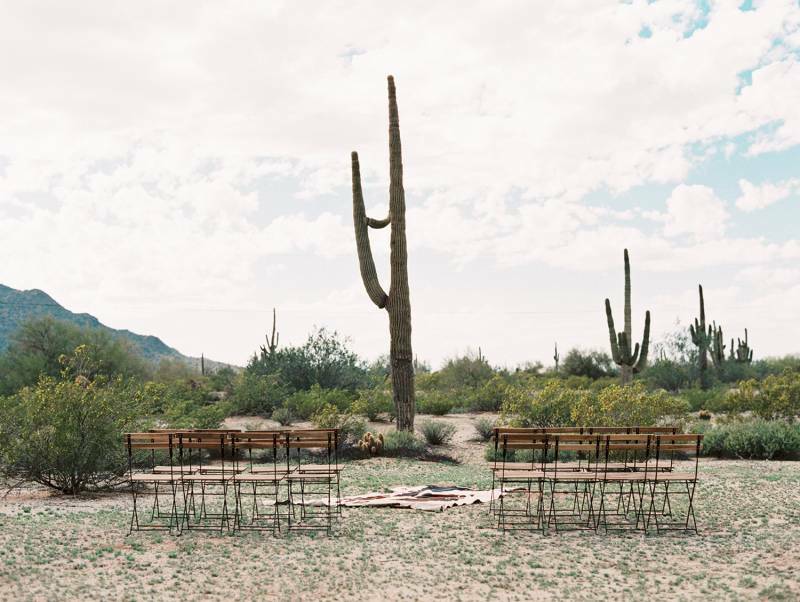 If you're planning a desert wedding and are on the look out for a California Wedding Photographer head to our vendor guide.